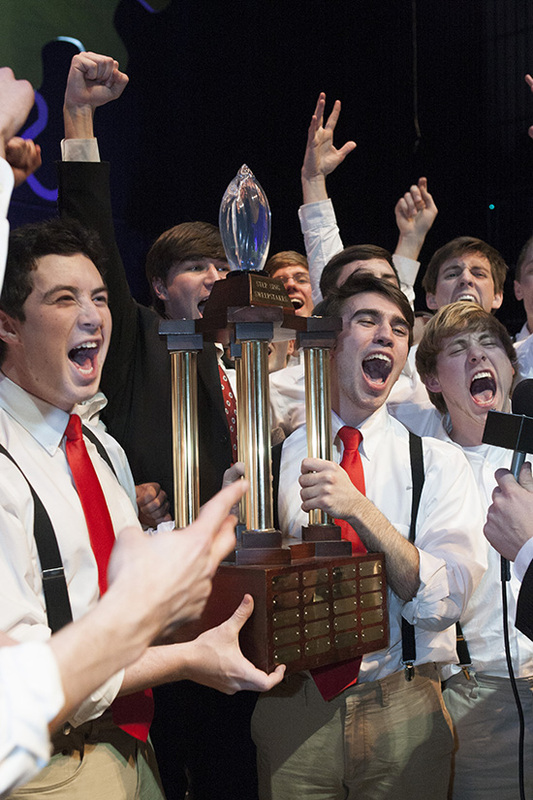 Samford University is providing free live streaming of the popular student-produced talent show, Step Sing. The live streams will be available for the three evening performances at 7 p.m. CST Feb. 12, 13 and 14. The live stream will include a 30-minute countdown show each night at 6:30 p.m. CST with special Step Sing features and interviews with participants, according to Brad Radice, Samford’s director of broadcast media. The Saturday evening performance will include announcement of the winners. Samford’s office of alumni programs is providing watch party packages for groups that schedule watch parties for any of the three live stream performances. The packages include a Step Sing poster, ballots and other items. Groups can register online for watch parties. The official Step Sing program also will be available online for Live Stream viewers. Last year, more than 1,000 people watched the live stream of the Saturday evening performance, including students studying at Samford’s London Centre who stayed up into the early morning hours local time to see the winners announced. Radice said the live stream is being provided free this year in honor of the 65th production of Step Sing. Tickets are still available online for all performances, according to Beth Roller, Samford’s director of student activities and events. In addition to the three evening performances, there will be a 2 p.m. matinee on Saturday, Feb. 14. The coveted Sweepstakes Trophy and other awards will be presented at the conclusion of the Saturday evening performance. Step Sing began in 1951 as a sing-along on the steps of Renfroe Hall on the university’s old East Lake campus. It has been held in the Wright Center Concert Hall since 1976. There are 16 groups with more than 900 students participating in this year’s production.